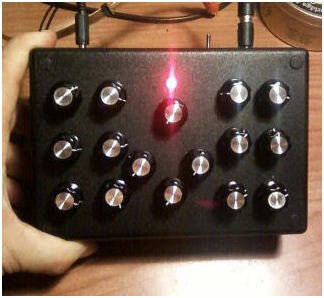 A mini analog synthesizer, built on the basis of old '70 modular synth. 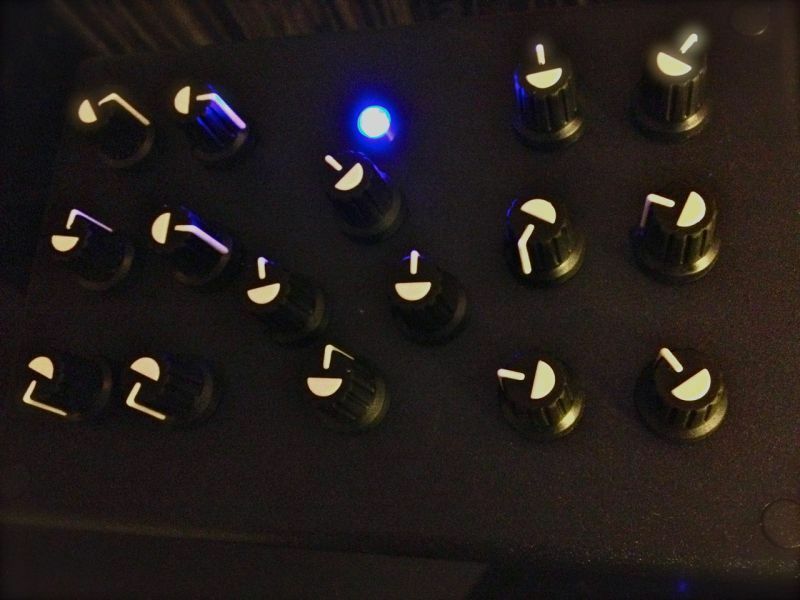 We may consider more a sound generator rather than a real keyboard synth, in fact this is not provided. 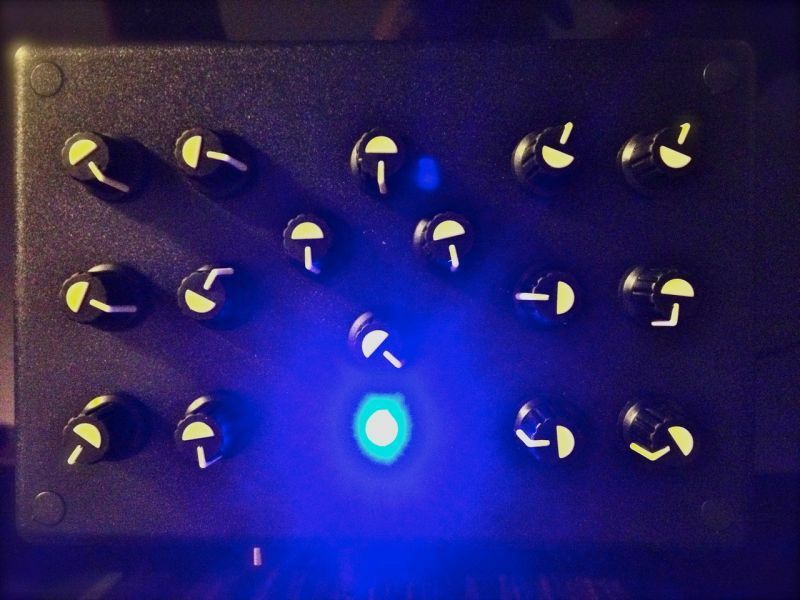 It includes several modules that interact with each other through selectors position, more practical and less bulky, rather than the classic monophonic cables. 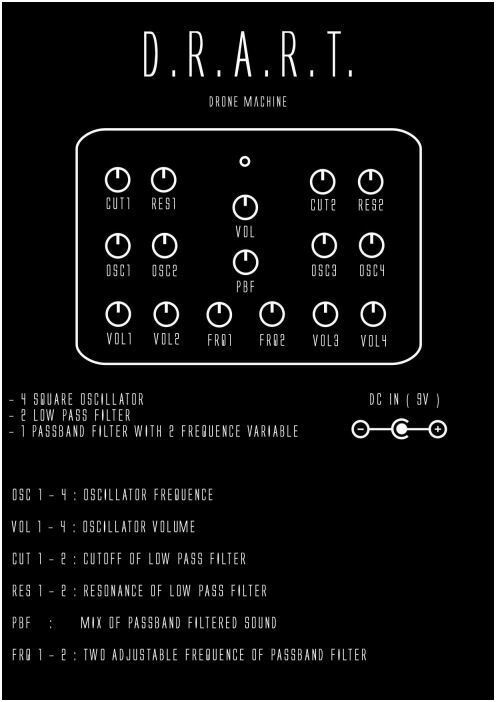 The synth is composed of: 2 VCO that can generate 4 different waveforms (sine, triangle, square and ramp), an LFO, also with the same waveforms, a white noise generator, a sample & hold module, a VCF with selectable output like low-pass, band-pass and high-pass, and finally a mini envelope control ( that we can bypass ) with adjustable ATTACK and RELEASE. 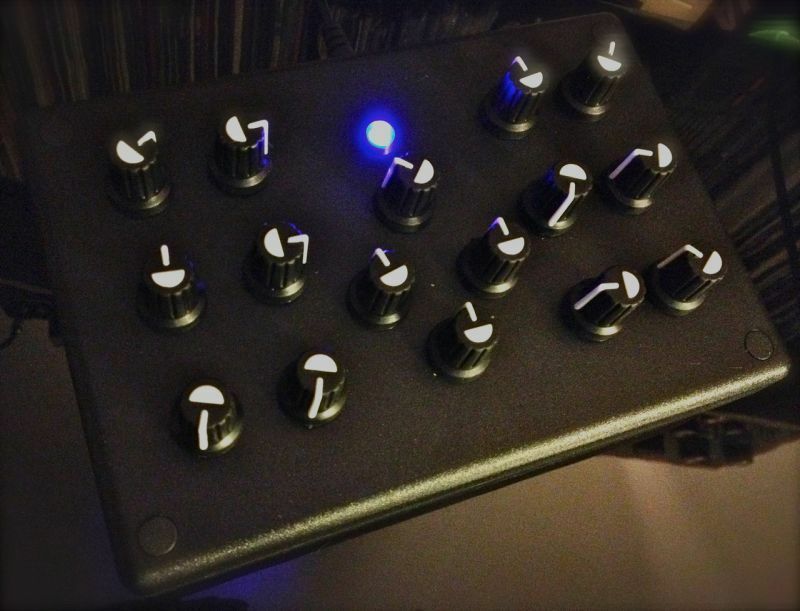 Front panel : 1 LFO red led, 13 knobs, 8 switch, 6 selectors, 1 gate button. Rear panel : 1 power switch, 1 audio out jack, 1 DC in jack, 1 power led.